Josh Randolph is Senior Director of the Investment Property Group in Alabama. He specializes in the acquisition and disposition of investment properties; focusing mainly on the senior housing, healthcare, retail, and office sectors. He has been involved in more than 373 transactions totaling more than $3.3 Billion in volume. 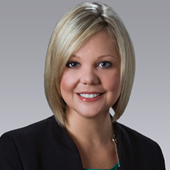 Prior to joining Colliers in 2013, Randolph worked with CBRE in Atlanta and TSCG in Birmingham. Before getting into the commercial real estate business, Randolph gained experience by covering several commercial real estate REIT's while working on the institutional trading floor for Merrill Lynch in New York. He also received a Masters in Real Estate Investment & Development from NYU. Josh was recently inducted in the 2015 Everest Club which recognizes the firm’s top 10% of producers annually. Josh is licensed in Alabama, Louisiana, and Mississippi.